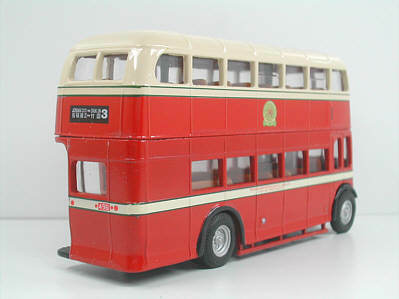 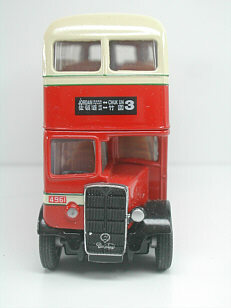 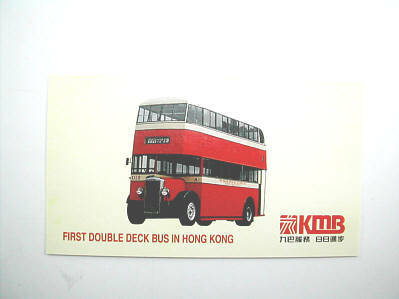 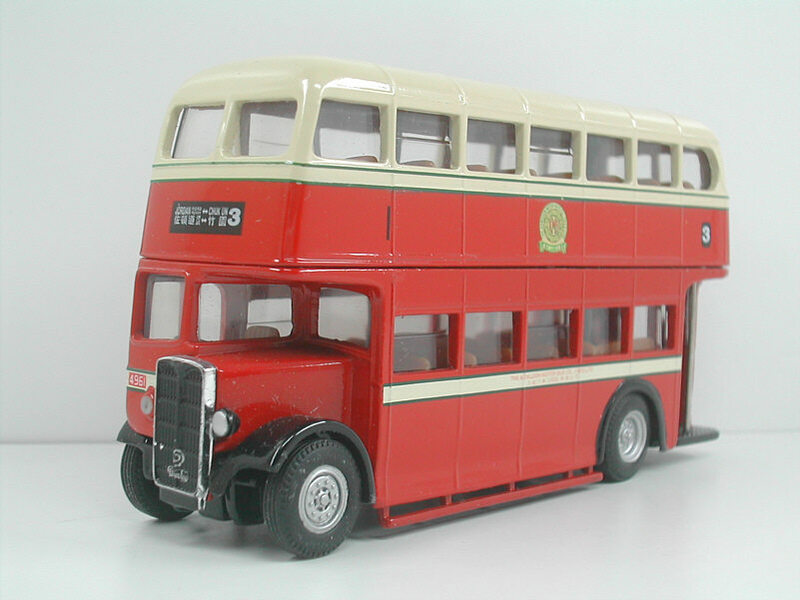 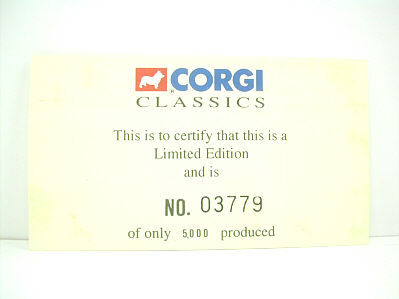 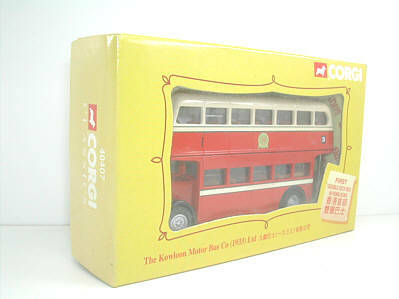 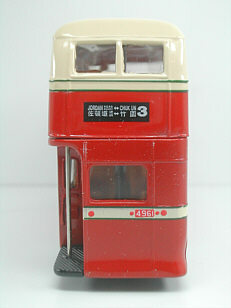 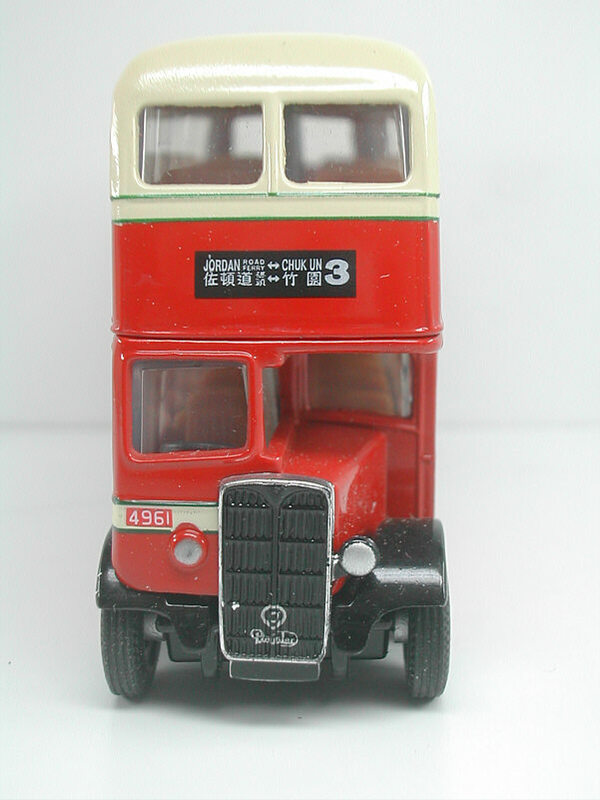 The model - This model was commissioned by KMB, being released in Hong Kong in November 1996, and it's box carries the wording "First double-decker bus in Hong Kong". 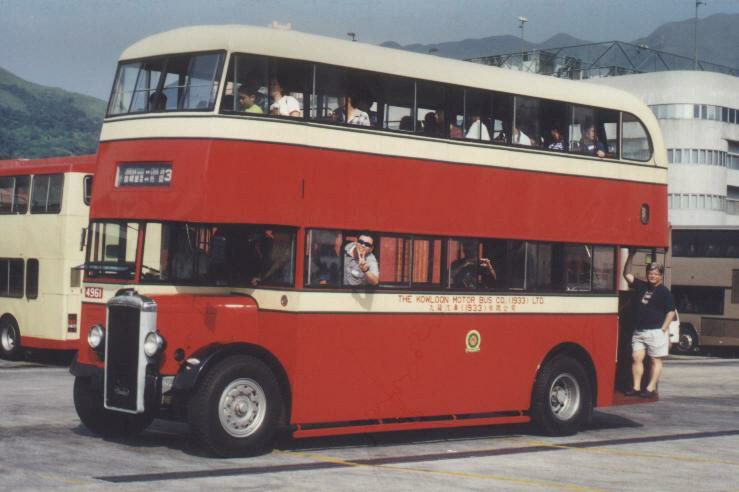 The bus - 4961 was one of the first four double-deckers ordered by Kowloon Motor Bus, entering service on 17th April 1949. 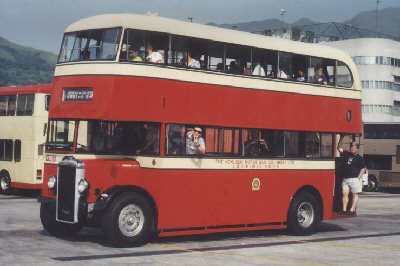 It remained in service until January 1980, and in 1982 underwent major reconstruction and restoration to as near original condition as was possible, to provide a suitable "vintage" vehicle for the Company's 1983 Jubilee celebrations, after which it was donated to the Hong Kong Museum of History.